It can be tricky to cut a mortise without the help of machines but using this method, I find I end up with mortises as clean or cleaner than what I could get with a drill. 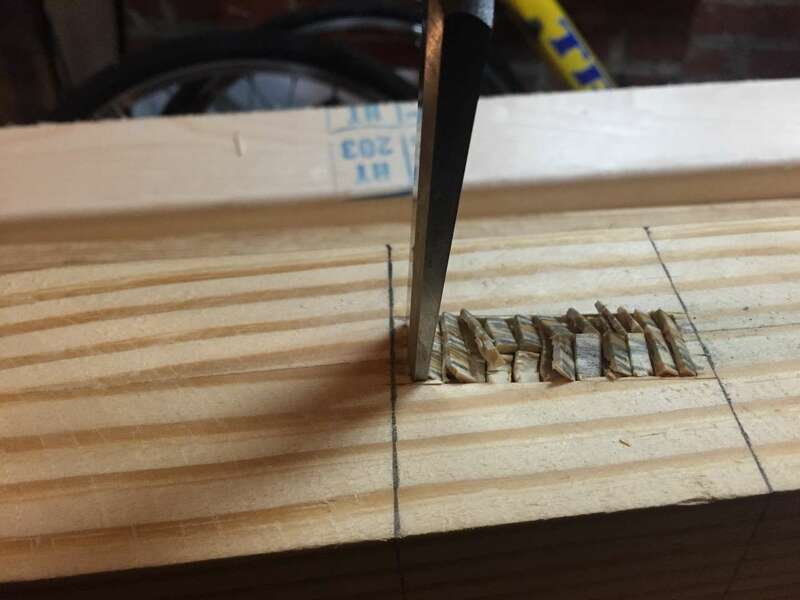 Many guides cover ways to mark your mortise, so I will not cover that in depth. The standard way is to use a mortise gauge. 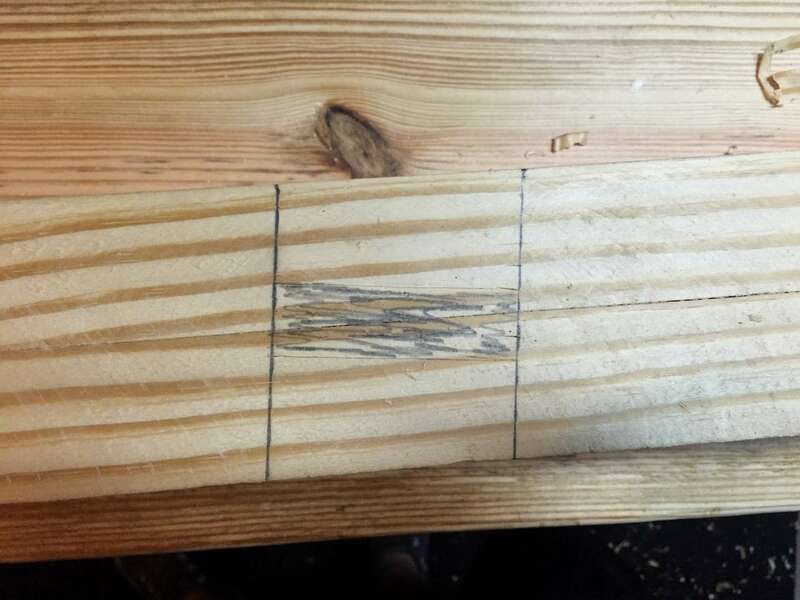 For this method, you will need to have a chisel the same width as your mortise so keep that in mind when designing your joint. 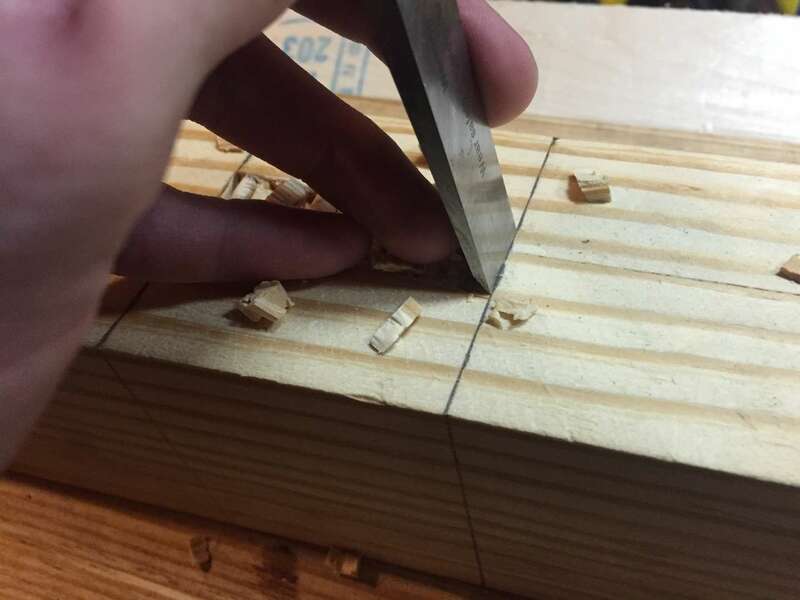 Begin by placing the chisel about 1/8" of an inch from the right side of the mortise with the bevel facing the left side. Hit directly down and kind of hard, but don't kill the chisel. 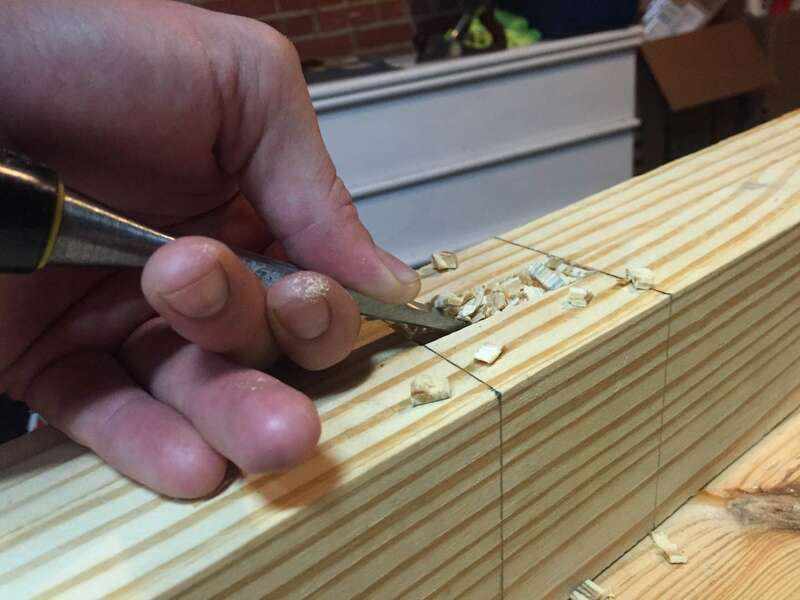 You'll see the chisel move away from your bevel just like a good chisel should. 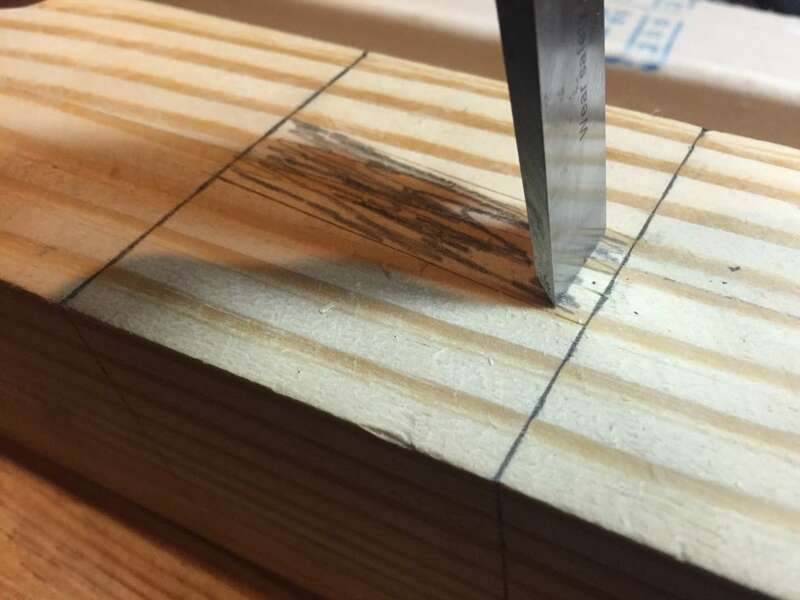 Stop when you get within an 1/8" of the other edge. This will be hard and straight down, but still do not kill it. 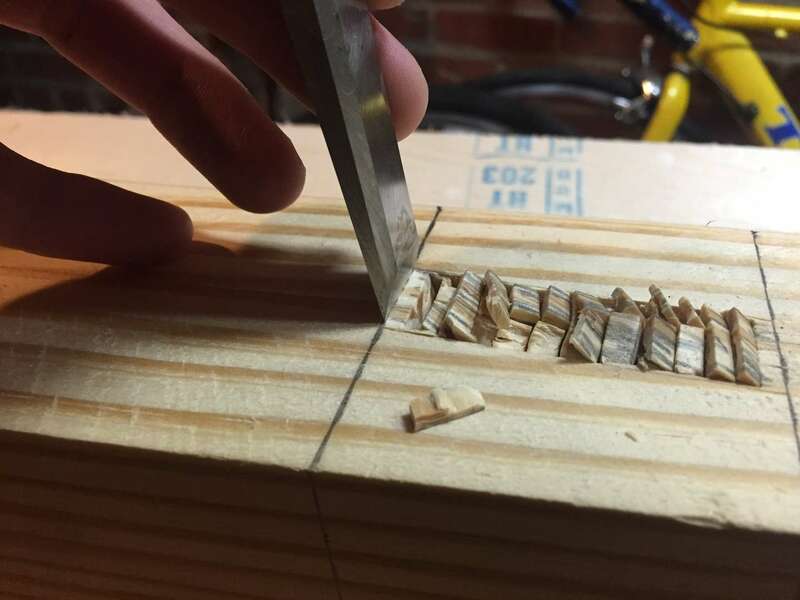 You want to be patient here because over doing it can still create pressure and damage the visible edge of your mortise. Chop in with the bevel facing upwards. Do this enough to chop most of the wood. 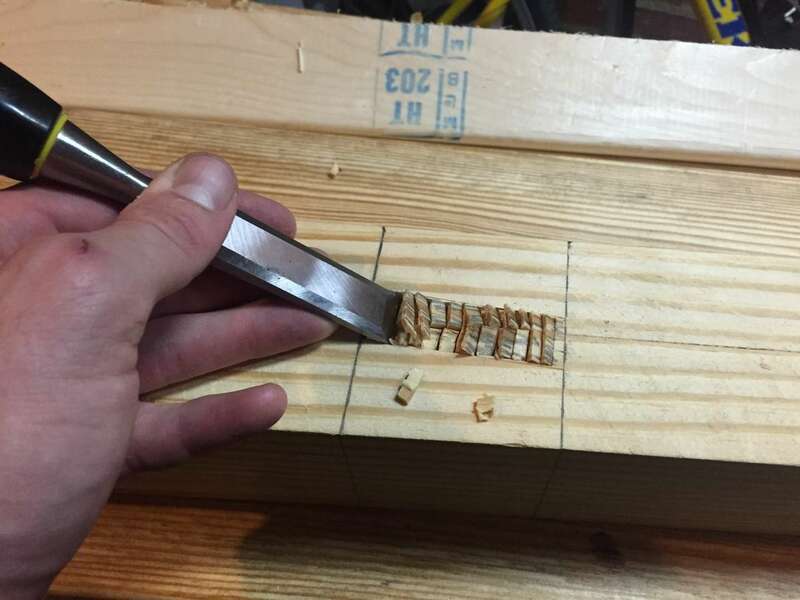 Using a much smaller chisel, pry the waste out of the mortise. It is essential that you do not use the wall as leverage. It is extremely tempting but be patient and do not do it. If you have a specified depth, check your depth after each cycle. If you're going all the way through, eyeball halfway and then come from the other side. 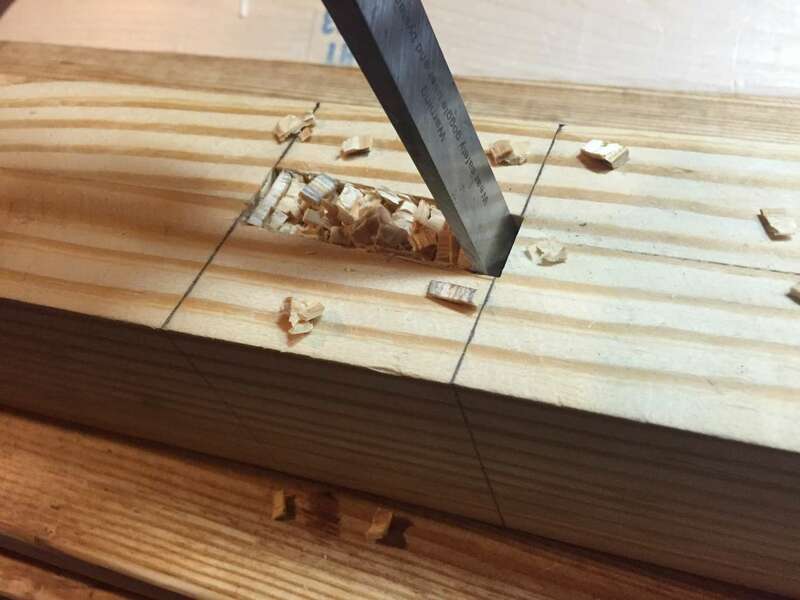 By the end, you should have a good mortise that requires only slight cleanup with your chisel. I recently received a copy of Paul Sellers' book on hand tools. In it, he describes the mallet he designed and gives some tips on reproducing it. My DIY walnut plant stand! Why put your plant on the ground like some sort of animal when you can spend hours making a wooden plant stand? A gift for my mother in law, a simple coat rack made from old walnut.